“The Girl in Black” by Kathy Lauren Miller, is a hauntingly taut murder mystery as well as an awesome page-turner! The mystery begins with high school senior, Kate Mckenna who happens to live in an old Victorian manor that is also the Mckenna Memorial Funeral Home. Her father, Dr. Brendan Mckenna, happens to be the county’s Chief Medical Examiner. Shy Kate, whose social life as always been nearly non-existent until she is thrust into the limelight when the promiscuous prom queen, Ashley, is found tortured and murdered. Accusations run rampant in Kate’s High School concerning several male students that were involved with Ashley. To make matters worse, Ashley’s remains now reside at the funeral home where Kate lives. Kate and her best friend Cooper, a computer nerd, and Kate’s unattainable heartthrob, handsome Shane, all become involved in Ashley’s murder. Suddenly, Kate finds herself in the cross hairs of the sadistic killer and the vengeful ghost of Ashley, the murdered prom queen. What happens next is beyond Kate’s worse nightmare. 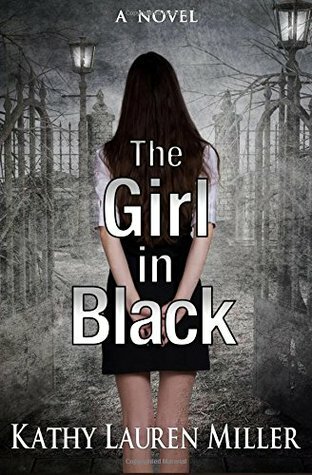 The Girl in Black is a fascinating and terrifying murder mystery that will keep you guessing until the end. I highly recommend this book. This review is excellently written and offers a strong argument to buy and read this book!